Here, holidays are a time of tradition, reflection, and spirituality. Yet they are also a time of camaraderie, song, and laughter. Come to our fun-filled Chanukah Party, where everyone eats and plays together. Join our Purim celebration, where the highlight is single-malt scotch tasting. Take part in Simchat Torah, full of dancing and singing. For more on all the wonderful ways to celebrate Jewishly at Kehillah, simply continue reading. At this thought-provoking program, we prepare for the High Holy Days. We enjoy Havdalah and dessert, followed by a relevant film and discussion about forgiveness and reconciliation. The evening culminates with selections from the Selichot liturgy. For more on High Holy Days, click here. On Friday, we convene for a potluck dinner in the sukkah followed by Shabbat services. We convene for the Sukkot morning service, during which we wave the lulav and etrog. Here is another opportunity for fun and dancing. After unrolling the entire Torah in a community circle, we sing and dance to celebrate the joy of Torah. After hearing songs of the season performed by religious school students, everyone eats a delicious meal together. While kids enjoy games and a unique photo booth, adults convene for wine, cheese, and adult conversation. In this magical, mystical evening we learn about the tradition of Tu B’shvat. We eat fruits and nuts from our land, we listen to Rabbi Jen, and enjoy a unique potluck Tu B’shvat seder. 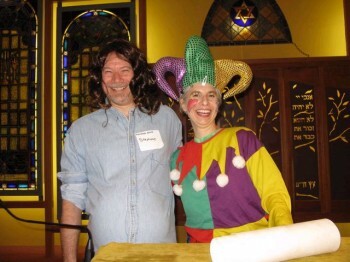 On Purim, everyone dresses up, or risks being costumed by Rabbi Jen! Kehillah offers prizes for the best family costume and the best teen costume. While kids make noise, dance, and boo Haman, adults enjoy tasting single malt scotch. 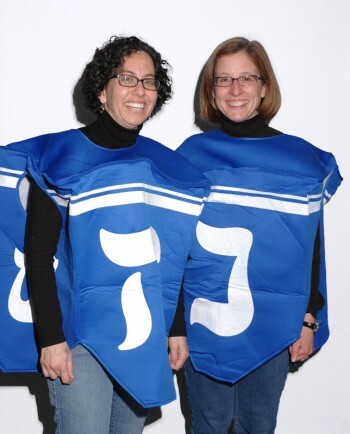 As is customary at Purim, we give tzedakah to help those in need. Everyone’s invited to our multi-generational Community Seder on the second night of Passover. (Last year, we welcomed 11 Tibetan monks.) Rabbi Jen leads the seder, and we enjoy a catered traditional Passover meal. There’s even a special puppet show for children of all ages. Along with other local synagogues and the Jewish Federation, we co-sponsor the yearly community-wide Yom Ha’Shoah (Holocaust Remembrance Day) commemoration. Shavuot commemorates receiving the Torah at Mt. Sinai. In preparation, Kehillah hosts a multi-generational event where we weave flowers onto crowns to adorn each Torah the following morning. After weaving, we share a potluck dinner and dessert and engage in an adult learning session with Rabbi Jen.